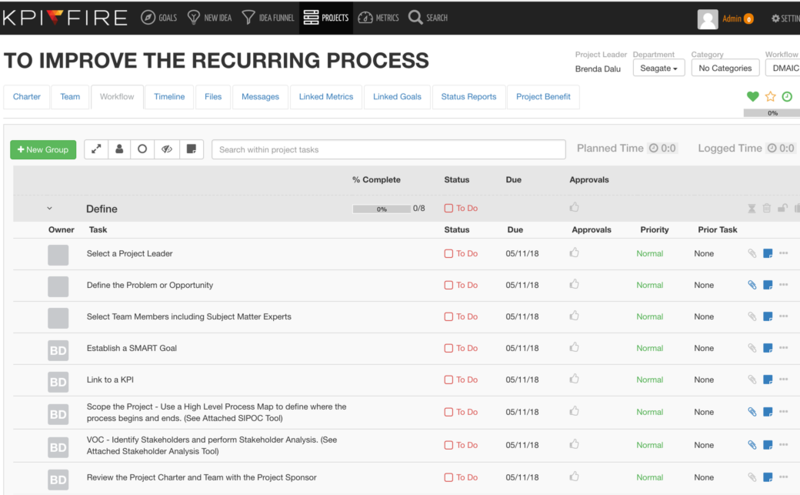 Looking for a Continuous Improvement Program based software to provide quick tips to make your job easier and your results more effective? Management buy-in will increase as you provide clear line-of-site to strategic initiatives and show visual results in a dashboard & reports. The key to getting management support is to work on goals & projects that will impact the strategic initiatives and KPIs the executive team is focused on. It is important to keep the goals visible where others can see them and have access to them. 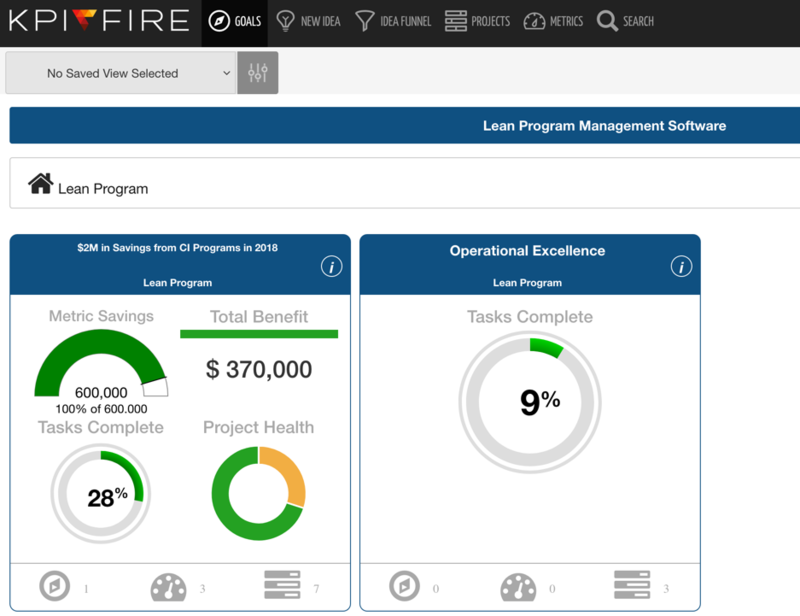 Screenshot from KPI Fire, a simple Lean Program Management software that is based on concepts of Hoshin Kanri or Strategy Deployment tool that takes the place of an X Matrix giving your team clear line of sight to strategic goals. Don’t let a good idea get past you without collecting it. Put yourself on the floor; because this is where the action is. Talk to people doing the work and ask them for ideas to eliminate waste and variation. We do these Gemba Walks because they are a great way to solicit and capture ideas.